read the criminal charges and ask the defendant if he or she has an attorney. 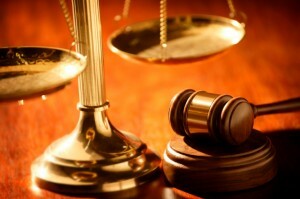 maintain how the defendant “pleads to” the criminal charges: “guilty”, “not guilty”, or “no contest”. decide whether to alter the bail amount or release the defendant on his or her own recognizance (ROR). Future case proceedings, including the preliminary hearing, pre-trial motions, and trial will also be announced at your arraignment. An arraignment is a very basic hearing which marks the official start to your case. If you have not hired a lawyer by the date of your arraignment, you should act quickly every thing that happened immediately following your arraignment will have a direct impact on the outcome of your case. Criminal defense cases are highly complex. If you have been involved in a criminal incident, you need legal representation to make the best case possible and ensure that your side of the story is heard in court. To learn more about your criminal case feel free to contact The Morano Law Firm at 201-598-5019 or email us at newjerseylawyernow@gmail.com for a free consultation. On January 17, 2014, Governor Christie signed A-1844 into law as P.L. 2013, c.237. The new law took effect on January 17, 2014. A copy of the law is attached and is available on the Judiciary Infonet under Legal Reference/Legislation Affecting Courts. Below is a summary of the law. The new law amends N.J.S.A.39:6B-2 to provide that the one-year driver’s license suspension penalty for a first offense of driving without the required motor vehicle liability insurance coverage may be reduced or eliminated by the court if the person provides satisfactory proof of insurance at the time of the hearing. A person who is convicted for a first offense of operating a motor vehicle without the required motor vehicle liability insurance coverage remains subject to a fine of not less than $300 nor more than $1,000 and a period of community service to be determined by the court. Traffic Tickets? Hurt in a Car Accident? Lindsay Lohan’s Super Commercial Bowl Reminds You That You Need a NJ Attorney that Can Handle Both! One of the best Super Bowl Commercials of 2015 was by Esurance, in which“Sorta Mom” Lindsay Lohan commits several traffic violations and is involved in a car accident. She may not have our contact information – but if you are reading this you do! Car accidents and traffic tickets often go hand in hand and that is why you need a lawyer that handles both. When it rains, it pours so, if you have been involved in a car accident and/or have received tickets please give The Morano Law Firm a call at 201-598-5019 today for the firm that handles both! As traffic attorneys we will keep you out of trouble if you’ve got tickets and as personal injury lawyers we will get you compensated for your loss. So, you’ve got to go to New Jersey traffic Court or Municipal Court for a minor brush with the law? I can be your New Jersey speeding ticket lawyer. Although the entire state operates under the same laws, I know the importance of properly maneuvering through the subtle differences between New Jersey’s 500+ courts. I will work to do everything I can to keep your record clean, your license clean and make sure you get the minimum fine and penalties for your offense. Stay at 0 points and keep those insurance premiums down. You will have your day in court! If you have suffered an injury in a car accident you only have a short period of time to take action or your case may be forfeited forever. We have experience representing individuals who have been seriously injured due to the failure of other drivers to use proper care. We will aggressively litigate on your behalf. If you have been injured in a car accident and hire our firm we will take your case on contingency. That means if you don’t get paid – we don’t get paid! Call The Morano Law Firm, LLC today at 201-598-5019 or email us at newjerseylawyernow@gmail.com. If you are unlicensed and under 17 years of age at the time of the incident, you are subject to a 30–90 day delay in processing your driver license. 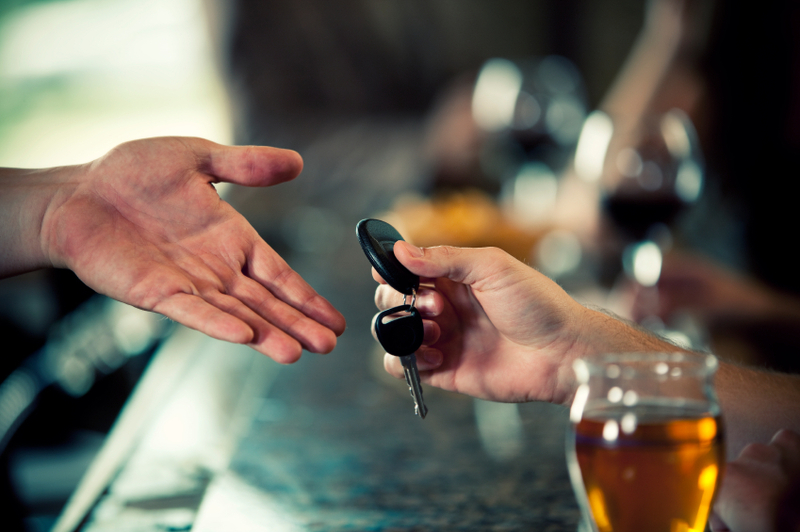 For underage drunk driving cases in New Jersey the fines are often lower, but the threshold for being convicted is lower as well. 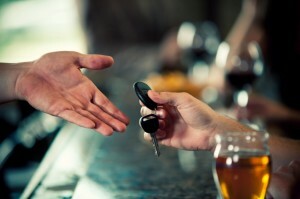 For drivers who are 21 and above, the legal limit is a BAC (Blood Alcohol Content) of .08% or higher whereas for a person underage of 21 the prosecution must only show a trace amount of alcohol with a BAC (Blood Alcohol Content) of .01% or higher. New Jersey assigns strict penalties for individuals who do not show up on their court date. Missing a court date can be due to any number of unexpected occurrences. It is a problem that many New Jersey residents might encounter, so an understanding of the court rule is important to ensuring minimal legal trouble in the future. If you have already found yourself in a position where you or someone you know did not appear in court and is now facing legal repercussions, please call me Corey Morano, Esq. right away at 201-598-5019 or send me an email at newjerseylawyernow@gmail.com and I will provide you with a free consultation. Failure to appear in court can lead to several consequences including the issuing of an arrest warrant and/or an immediate suspension of the defendant’s driver license. The defendant could end up in custody until bail is posted or the warrant is resolved. The judge may also decide to revoke bail if it had been deposited earlier on the case, which could lead to the bail money being forfeited to the court. The court procedures are listed below. (1) Non-Parking Motor Vehicle Cases. If a defendant in any non-parking case before the court fails to appear or answer a complaint, the court may either issue a warrant for the defendant’s arrest in accordance with R. 7:2-2(c) or issue and mail a failure to appear notice to the defendant on a form approved by the Administrative Director of the Courts. If a failure to appear notice is mailed to the defendant and the defendant fails to comply with its provisions, a warrant may be issued in accordance with R. 7:2-2(c). (2) Parking Cases. In all parking cases, an arrest warrant shall only be issued if the defendant has failed to respond to two or more pending parking tickets within the jurisdiction. A warrant shall not issue when the pending tickets have been issued on the same day or otherwise within the same 24-hour period. (b) Driving Privileges; Report to Motor Vehicle Commission. (1) Non-Parking Motor Vehicle Cases. If the court has not issued an arrest warrant upon the failure of the defendant to comply with the court’s failure to appear notice, the court shall report the failure to appear or answer to the Chief Administrator of the Motor Vehicle Commission on a form approved by the Administrative Director of the Courts within 30 days of the defendant’s failure to appear or answer. The court shall then mark the case as closed on its records, subject to being reopened pursuant to subparagraph (e) of this rule. If the court elects, however, to issue an arrest warrant, it may simultaneously report the failure to appear or answer to the Motor Vehicle Commission on a form approved by the Administrative Director of the Courts. If the court does not simultaneously notify the Motor Vehicle Commission and the warrant has not been executed within 30 days, the court shall report the failure to appear or answer to the Motor Vehicle Commission on a form approved by the Administrative Director of the Courts. Upon the notification to the Motor Vehicle Commission , the court shall then mark the case as closed on its records subject to being reopened pursuant to subparagraph (e) of this rule. (2) All Other Cases. In all other cases, whether or not an arrest warrant is issued, the court may order the suspension of the defendant’s driving privileges or of defendant’s nonresident reciprocity privileges or prohibit the person from receiving or obtaining driving privileges until the pending matter is adjudicated or otherwise disposed of. The court shall then mark the case as closed on its records, subject to being reopened pursuant to subparagraph (e) of this rule. If an arrest warrant is not executed, it shall remain open and active until the court either recalls, withdraws or discharges it. If bail has been posted after the issuance of the arrest warrant and the defendant fails to appear or answer, the court may declare a forfeiture of the bail, report a motor vehicle bail forfeiture to the Motor Vehicle Commission and mark the case as closed on its records subject to being reopened pursuant to subparagraph (e) of this rule. The court may set aside any bail forfeiture in the interest of justice. (d) Parking Cases; Unserved Notice. In parking cases, no arrest warrant may be issued if the initial failure to appear notice is returned to the court by the Postal Service marked to indicate that the defendant cannot be located. The court then may order a suspension of the registration of the motor vehicle or of the defendant’s driving privileges or defendant’s nonresident reciprocity privileges or prohibit the person from receiving or obtaining driving privileges until the pending matter is adjudicated or otherwise disposed of. The court shall forward the order to suspend to the Motor Vehicle Commission on a form approved by the Administrative Director of the Courts. The court shall then mark the case as closed on its records, subject to being reopened pursuant to subparagraph (e) of this rule. A case marked closed shall be reopened upon the request of the defendant, the prosecuting attorney or on the court’s own motion. (f) Dismissal of Parking Tickets. In any parking case, if the municipal court fails, within three years of the date of the violation, to either issue a warrant for the defendant’s arrest or to order a suspension of the registration of the vehicle or the defendant’s driving privileges or the defendant’s non-resident reciprocity privileges or prohibit the person from receiving or obtaining driving privileges, the matter shall be dismissed and shall not be reopened. If you have any questions on this matter, do not hesitate to contact The Morano Law Firm, LLC at 201-598-5019 or email us at newjerseylawyernow@gmail.com and find out how we can assist you. Today it is common to see more people using their smartphones while driving in New Jersey. This trend has led to an increase in traffic accidents and an amplified effort by law enforcement to target people talking or texting while driving. Simultaneously, the New Jersey Legislature has proceeded recently to enact harsher penalties for violating these laws. With the threat of high fines and possible license suspensions, it is important that you are informed about what you can do to minimize legal ramifications if you or anyone you know becomes involved in a situation like this. Contact Corey Morano, Esq. at 201-598-5019 or email coreymorano@gmail.com today to set up a free consultation. Distracted driving has led to many accidents and legal trouble for individuals, so understanding exactly how it is defined can help you to avoid these circumstances. Taking your eyes off the road to use your phone is unlawful and can lead to fines for first offenders and points or license suspensions for repeat offenders. Exceptions to this law include using hands-free calling systems, using your cell phone in a situation where your life is being threatened, or when you are calling authorities to report an emergency. The statute can be found below. 39:4-97.3. Use of wireless telephone, electronic communication device in moving vehicle; definitions; enforcement. 1. a. The use of a wireless telephone or electronic communication device by an operator of a moving motor vehicle on a public road or highway shall be unlawful except when the telephone is a hands-free wireless telephone or the electronic communication device is used hands-free, provided that its placement does not interfere with the operation of federally required safety equipment and the operator exercises a high degree of caution in the operation of the motor vehicle. For the purposes of this section, an “electronic communication device” shall not include an amateur radio. Nothing in P.L.2003, c.310 (C.39:4-97.3 et seq.) shall apply to the use of a citizen’s band radio or two-way radio by an operator of a moving commercial motor vehicle or authorized emergency vehicle on a public road or highway. (2) The operator is using the telephone to report to appropriate authorities a fire, a traffic accident, a serious road hazard or medical or hazardous materials emergency, or to report the operator of another motor vehicle who is driving in a reckless, careless or otherwise unsafe manner or who appears to be driving under the influence of alcohol or drugs. A hand-held wireless telephone user’s telephone records or the testimony or written statements from appropriate authorities receiving such calls shall be deemed sufficient evidence of the existence of all lawful calls made under this paragraph. “Citizen’s band radio” means a mobile communication device designed to allow for the transmission and receipt of radio communications on frequencies allocated for citizen’s band radio service use. “Hands-free wireless telephone” means a mobile telephone that has an internal feature or function, or that is equipped with an attachment or addition, whether or not permanently part of such mobile telephone, by which a user engages in a conversation without the use of either hand; provided, however, this definition shall not preclude the use of either hand to activate, deactivate, or initiate a function of the telephone. “Two-way radio” means two-way communications equipment that uses VHF frequencies approved by the Federal Communications Commission. “Use” of a wireless telephone or electronic communication device shall include, but not be limited to, talking or listening to another person on the telephone, text messaging, or sending an electronic message via the wireless telephone or electronic communication device. c. (Deleted by amendment, P.L.2007, c.198). d. A person who violates this section shall be fined $100. e. No motor vehicle points or automobile insurance eligibility points pursuant to section 26 of P.L.1990, c.8 (C.17:33B-14) shall be assessed for this offense. f. The Chief Administrator of the New Jersey Motor Vehicle Commission shall develop and undertake a program to notify and inform the public as to the provisions of this act. g. Whenever this section is used as an alternative offense in a plea agreement to any other offense in Title 39 of the Revised Statutes that would result in the assessment of motor vehicle points, the penalty shall be the same as the penalty for a violation of section 1 of P.L.2000, c.75 (C.39:4-97.2), including the surcharge imposed pursuant to subsection f. of that section, and a conviction under this section shall be considered a conviction under section 1 of P.L.2000, c.75 (C.39:4-97.2) for the purpose of determining subsequent enhanced penalties under that section. If you or someone you know needs more information on this matter, please do not hesitate to contact me, Corey Morano, Esq. today for a free consultation at 201-598-5019 or coreymorano@gmail.com. Most of us encounter crosswalks in New Jersey every day, whether we are behind the wheel or walking to our destination. Understanding the proper procedure to follow when approaching a crosswalk is highly important because confusion between the driver and the pedestrian can lead to injuries and legal repercussions resulting from an accident. A ticket for N.J.S. 39:4-36 can be a serious moving violation. 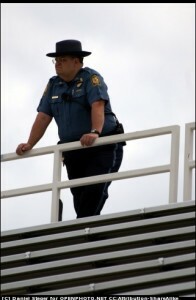 Police departments all across New Jersey are showing an increased interest in cracking down on crosswalk violations. Both jaywalkers and drivers who fail to yield to pedestrians at a crosswalk are being targeted by law enforcement in order to better protect the lives of New Jersey residents. By understanding the correct procedures, you can help yourself to avoid becoming entangled in these situations. If you have been involved in a crosswalk violation, whether as a driver, a jaywalker, or a victim, please do not hesitate to contact Corey Morano, Esq. for a free consultation at 201-598-5019 or by email at newjerseylawyernow@gmail.com today! Getting a ticket for Failure to Yield to Pedestrian can be a serious ticket and two points on your license. The full law can be found in the statute below. 39:4-36. Driver to yield to pedestrians, exceptions; violations, penalties. (1) The driver of a vehicle shall stop and remain stopped to allow a pedestrian to cross the roadway within a marked crosswalk, when the pedestrian is upon, or within one lane of, the half of the roadway, upon which the vehicle is traveling or onto which it is turning. As used in this paragraph, “half of the roadway” means all traffic lanes conveying traffic in one direction of travel, and includes the entire width of a one-way roadway. (2) No pedestrian shall leave a curb or other place of safety and walk or run into the path of a vehicle which is so close that it is impossible for the driver to yield or stop. (3) Whenever any vehicle is stopped to permit a pedestrian to cross the roadway, the driver of any other vehicle approaching from the rear shall not overtake and pass such stopped vehicle. (4) Every pedestrian upon a roadway at any point other than within a marked crosswalk or within an unmarked crosswalk at an intersection shall yield the right-of-way to all vehicles upon the roadway. (5) Nothing contained herein shall relieve a driver from the duty to exercise due care for the safety of any pedestrian upon a roadway. Nothing contained herein shall relieve a pedestrian from using due care for his safety. b. A person violating any paragraph of subsection a. of this section shall, upon conviction thereof, pay a fine to be imposed by the court in the amount of $200. The court may also impose upon a person violating any paragraph of subsection a. of this section, a penalty of community service not to exceed 15 days in such form and on such terms as the court shall deem appropriate. If the violation results in serious bodily injury to a pedestrian, the person convicted of the violation shall be subject to a fine of not less than $100 or more than $500, and may additionally be subject to a sentence of imprisonment not to exceed 25 days, or a license suspension not to exceed six months, or both, in the discretion of the court. As used in this section, “serious bodily injury” means serious bodily injury as defined in subsection b. of N.J.S.2C:11-1.
c. Of each fine imposed and collected pursuant to subsection b. of this section, $100 shall be forwarded to the State Treasurer who shall annually deposit the moneys into the “Pedestrian Safety Enforcement and Education Fund” created by section 1 of P.L.2005, c.84 (C.39:4-36.2). d. In the event of a collision between a vehicle and a pedestrian within a marked crosswalk, or at an unmarked crosswalk at an intersection, there shall be a permissive inference that the driver did not exercise due care for the safety of the pedestrian. Call me at 201-598-5019 or email me at coreymorano@gmail.com today for a free consultation and learn how I can help you with any questions you may have. If you have been injured in a bicycle-motor vehicle collision and want to know your rights, please do not hesitate to call me, Corey Morano, Esq. for a free consultation at 201-598-5019 or email me at newjerseylawyernow@gmail.com right away! You may be well aware that bicyclists in New Jersey are required to keep to the right side of the road when using a roadway shared with motor vehicles. Riding single file as close to the right curb as you can safely allow for is the general rule that should be followed when taking your bicycle out for a spin. But did you know that there are exceptions to this law? By keeping these exceptions in mind when you go out for a ride, you can make the activity safer for everyone involved. If you believe that you have acted appropriately within the boundaries of the law yet have become the victim of a bicycle-motor vehicle collision nonetheless, then you should act immediately to protect your rights. Call me at 201-598-5019 or email me directly for a free consultation. The penalties for NJSA 39:4-129, commonly referred to as “Leaving the Scene of an Accident” or a “hit and run” can be very serious in an New Jersey Court. 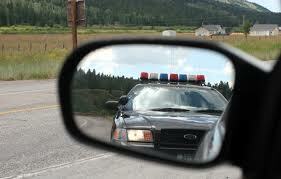 This offense can lead to high fines, mandatory loss of license, points on your license and even incarceration. This potentially harsh treatment is the result of the basis of the offense is the same when, for instance, a parked car is hit vs. an actual person. Often this ticket is issued along with NJSA 39:4-130, commonly referred to as “Failure to Report an Accident.” This offense has its own set of consequences. Failure to report has lower minimum penalties than Leaving the Scene. The full statutes for both are listed below. To learn more about these differences and what our firm can do for you, feel free to call 201-598-5019 or email me at coreymorano@gmail.com today for a free consultation and learn if I can help you keep your license intact. 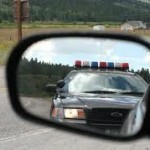 I have personally represented countless drivers on these offenses in courts all over the state. 39:4-129 Action in case of accident. 39:4-129. (a) The driver of any vehicle, knowingly involved in an accident resulting in injury or death to any person shall immediately stop the vehicle at the scene of the accident or as close thereto as possible but shall then forthwith return to and in every event shall remain at the scene until he has fulfilled the requirements of subsection (c) of this section. Every such stop shall be made without obstructing traffic more than is necessary. Any person who shall violate this subsection shall be fined not less than $2,500 nor more than $5,000, or be imprisoned for a period of 180 days, or both. The term of imprisonment required by this subsection shall be imposed only if the accident resulted in death or injury to a person other than the driver convicted of violating this section. In addition, any person convicted under this subsection shall forfeit his right to operate a motor vehicle over the highways of this State for a period of one year from the date of his conviction for the first offense and for a subsequent offense shall thereafter permanently forfeit his right to operate a motor vehicle over the highways of this State. (b) The driver of any vehicle knowingly involved in an accident resulting only in damage to a vehicle, including his own vehicle, or other property which is attended by any person shall immediately stop his vehicle at the scene of such accident or as close thereto as possible, but shall then forthwith return to and in every event shall remain at the scene of such accident until he has fulfilled the requirements of subsection (c) of this section. Every such stop shall be made without obstructing traffic more than is necessary. Any person who shall violate this subsection shall be fined not less than $200 nor more than $400, or be imprisoned for a period of not more than 30 days, or both, for the first offense, and for a subsequent offense, shall be fined not less than $400 nor more than $600, or be imprisoned for a period of not less than 30 days nor more than 90 days or both. In addition, a person who violates this subsection shall, for a first offense, forfeit the right to operate a motor vehicle in this State for a period of six months from the date of conviction, and for a period of one year from the date of conviction for any subsequent offense. (c) The driver of any vehicle knowingly involved in an accident resulting in injury or death to any person or damage to any vehicle or property shall give his name and address and exhibit his operator’s license and registration certificate of his vehicle to the person injured or whose vehicle or property was damaged and to any police officer or witness of the accident, and to the driver or occupants of the vehicle collided with and render to a person injured in the accident reasonable assistance, including the carrying of that person to a hospital or a physician for medical or surgical treatment, if it is apparent that the treatment is necessary or is requested by the injured person. In the event that none of the persons specified are in condition to receive the information to which they otherwise would be entitled under this subsection, and no police officer is present, the driver of any vehicle involved in such accident after fulfilling all other requirements of subsections (a) and (b) of this section, insofar as possible on his part to be performed, shall forthwith report such accident to the nearest office of the local police department or of the county police of the county or of the State Police and submit thereto the information specified in this subsection. (d) The driver of any vehicle which knowingly collides with or is knowingly involved in an accident with any vehicle or other property which is unattended resulting in any damage to such vehicle or other property shall immediately stop and shall then and there locate and notify the operator or owner of such vehicle or other property of the name and address of the driver and owner of the vehicle striking the unattended vehicle or other property or, in the event an unattended vehicle is struck and the driver or owner thereof cannot be immediately located, shall attach securely in a conspicuous place in or on such vehicle a written notice giving the name and address of the driver and owner of the vehicle doing the striking or, in the event other property is struck and the owner thereof cannot be immediately located, shall notify the nearest office of the local police department or of the county police of the county or of the State Police and in addition shall notify the owner of the property as soon as the owner can be identified and located. Any person who violates this subsection shall be punished as provided in subsection (b) of this section. (e) The driver of any motor vehicle involved in an accident resulting in injury or death to any person or damage in the amount of $250.00 or more to any vehicle or property shall be presumed to have knowledge that he was involved in such accident, and such presumption shall be rebuttable in nature. For purposes of this section, it shall not be a defense that the operator of the motor vehicle was unaware of the existence or extent of personal injury or property damage caused by the accident as long as the operator was aware that he was involved in an accident. Amended 1940, c.147; 1967, c.189, s.1; 1977, c.407; 1978, c.180; 1979, c.463, s.1; 1994, c.183, s.1; 2003, c.55, s.1. 39:4-130. The driver of a vehicle or street car involved in an accident resulting in injury to or death of any person, or damage to property of any one person in excess of $500.00 shall by the quickest means of communication give notice of such accident to the local police department or to the nearest office of the county police of the county or of the State Police, and in addition shall within 10 days after such accident forward a written report of such accident to the division on forms furnished by it. Such written reports shall contain sufficiently detailed information with reference to a motor vehicle accident, including the cause, the conditions then existing, the persons and vehicles involved and such information as may be necessary to enable the director to determine whether the requirements for the deposit of security required by law are inapplicable by reason of the existence of insurance or other circumstances. The director may rely upon the accuracy of the information contained in any such report, unless he has reason to believe that the report is erroneous. The division may require operators involved in accidents to file supplemental reports of accidents upon forms furnished by it when in the opinion of the division, the original report is insufficient. The reports shall be without prejudice, shall be for the information of the division, and shall not be open to public inspection. The fact that the reports have been so made shall be admissible in evidence solely to prove a compliance with this section, but no report or any part thereof or statement contained therein shall be admissible in evidence for any other purpose in any proceeding or action arising out of the accident. Whenever the driver of a vehicle is physically incapable of giving immediate notice or making a written report of an accident as required in this section and there was another occupant in the vehicle at the time of the accident capable of giving notice or making a report, such occupant shall make or cause to be made said notice or report not made by the driver. Whenever the driver is physically incapable of making a written report of an accident as required by this section and such driver is not the owner of the vehicle, then the owner of the vehicle involved in such accident shall make such report not made by the driver. A written report of an accident shall not be required by this section if a law enforcement officer submits a written report of the accident to the division pursuant to R.S.39:4-131. Any person who knowingly violates this section shall be fined not less than $30 or more than $100. The director may revoke or suspend the operator’s license privilege and registration privilege of a person who violates this section. Amended 1951,c.23,s.72; 1953,c.187; 1967,c.189,s.2; 1983,c.193,s.1; 1994,c.183,s.2. Free to call 201-598-5019 or email me at coreymorano@gmail.com today for a free consultation and learn if I can help you keep your license intact. All of these tickets can have a direct effect on your license raise your insurance premiums. Call me at 201-598-5019 or email me directly at newjerseylawyernow@gmail.com for a free consultation on traffic court.